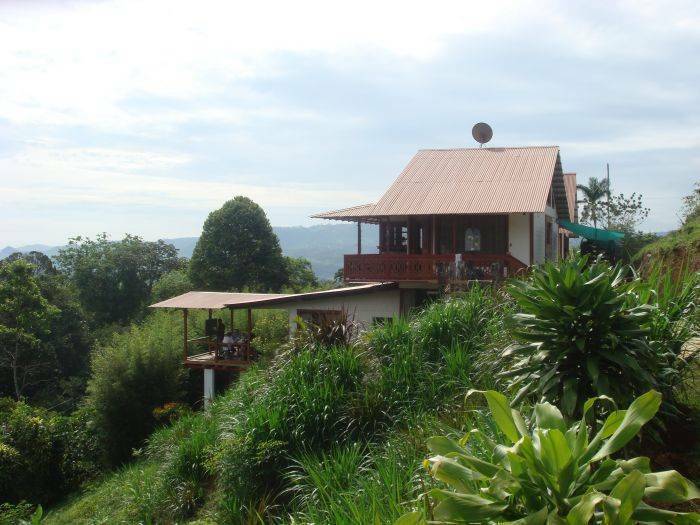 The Hostel is part of the Spanish by the River – Turrialba language school, which is founded June 2002, and is located a little outside of the town. 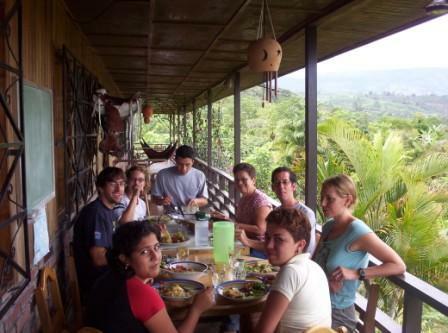 The hostel has a large balcony with beautiful tropical scenery and a great view of the Turrialba Volcano. There are lots of hammocks hanging around so it is a great place to relax. Around the hostel is a beautiful tropical garden with a grapefruit tree, banana trees and pineapple plants. 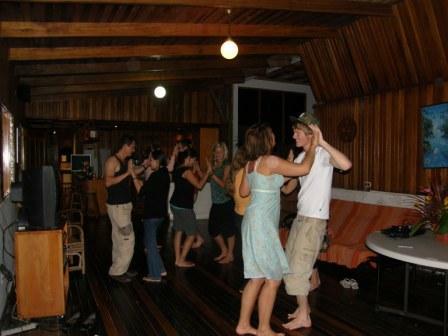 0The hostel has 11 beds, offering both private rooms and shared rooms. Shared rooms have up to three beds per room. There is a fully equipped kitchen and the communal area has a stereo system, television and DVD-player. Free WIFI is available throughout the building and we have a safe for valuables. Bed sheets and towels are included. 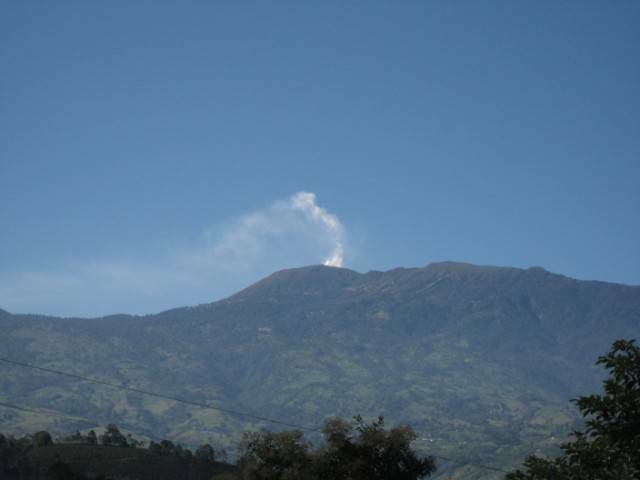 Turrialba is a typical small “Tico” town located 65 km east of San Jose. In the center you can find a few hotels, some restaurants, (pool) bars, coffee shops, ice cream parlors, discos, a cinema, swimming pools, banks, internet cafés, a post office and gyms. 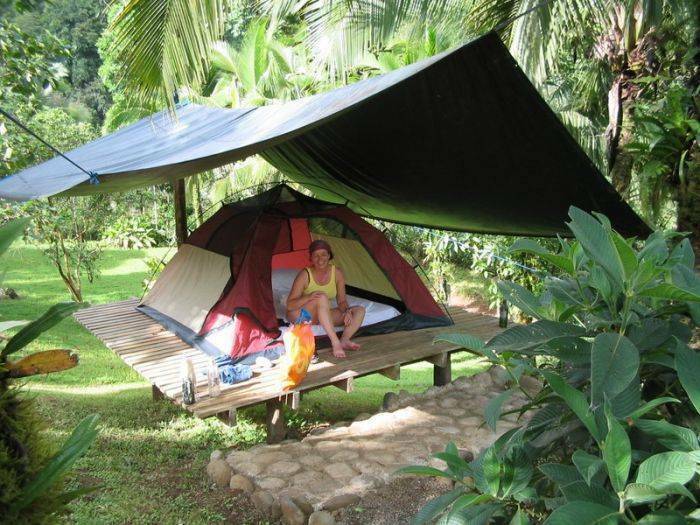 Compared to the rest of Costa Rica, Turrialba is less crowded with tourists. This gives people who come here the opportunity to really experience the local culture and the hospitality and friendly nature of the “Ticos”. 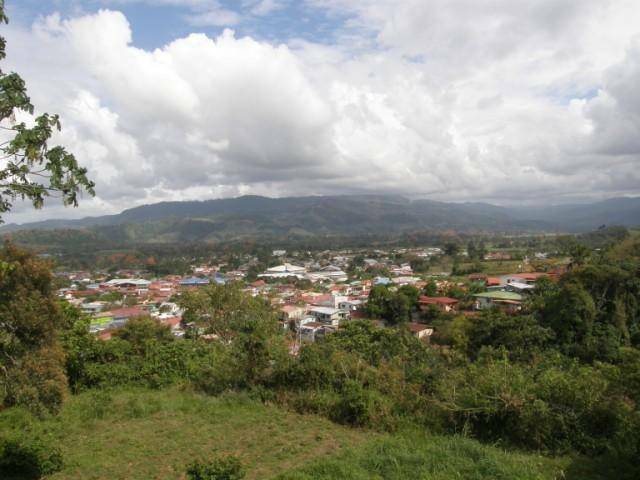 From down town Turrialba you can get a cab to take you to the school for approximately $3. If you want to take the bus, go to the local bus station and take the bus to Juan Viñas. Ask the bus driver to drop you of at the Spanish by the River language school in Barrio El Recreo. Taxi adress: Barrio El Recreo, 50 metros después de la Entrada de Chirraca, en el muro de piedras.